A Social Club: The Member Lounge At Natirar. The Club at Natirar, is example of a commercial space designed by Jennifer Connell. The space, intended for members and their guests, is a private social club meant for entertaining, unwinding or even playing a game of Snooker. The challenge here was to balance trendy-chic with comfort as well as creating a space that worked for large and small groups alike. 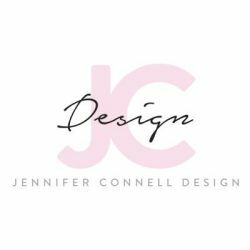 Jennifer’s plan included adding a custom table in the center of the room that can be used as buffet table for large groups or a private dining table for small parties. She hung a large custom chandelier giving off soft adjustable light (depending on the occasion) and used durable fabrics appropriate for commercial use. She used pops of neon yellows, teals and greens to contrast the deep chocolate walls and black lacquer ceiling.